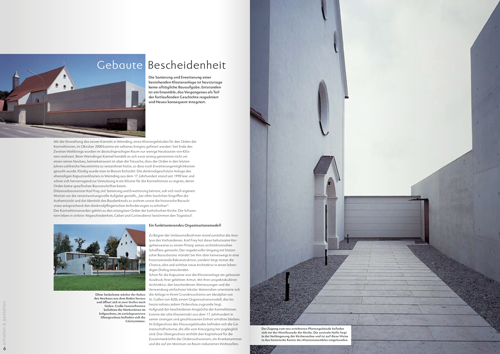 The idea for one of the very first ingoFonts, the sans serif »Faber Eins & Zwei,« originated in 1996. 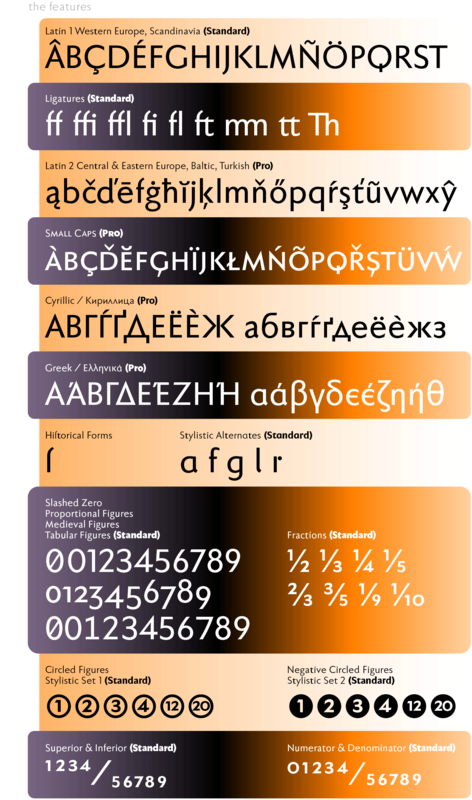 This typeface gained popularity over the years, especially in Anglo-Saxon countries. A lot has changed since then — not just in font technology. In 2010 it was time for a basic revision of this attractive font, and time to bring it up to date with current font technology. A uniqueness of Faber Sans is that it is actually composed of two fonts. 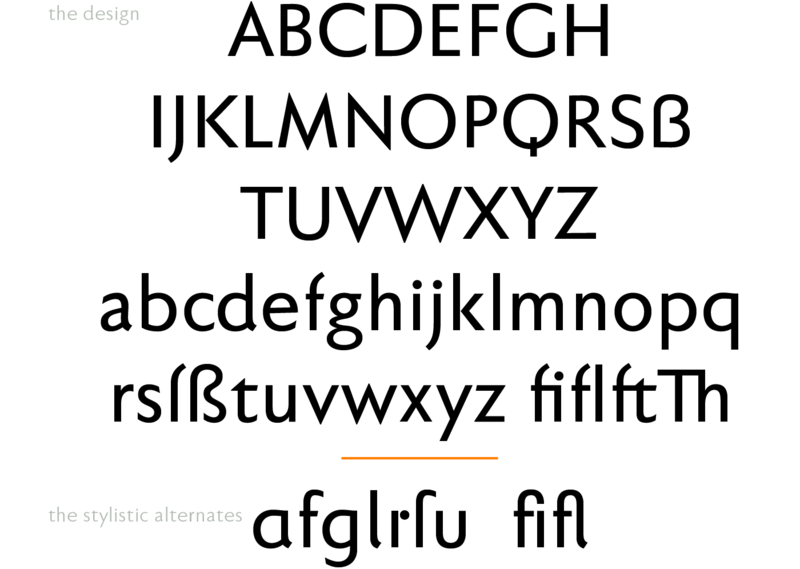 The »basic typeface« is a sans serif in the classic-modern style of type creations of the early 20th century — godfathered by Futura from Paul Renner and Gill Sans from Eric Gill. 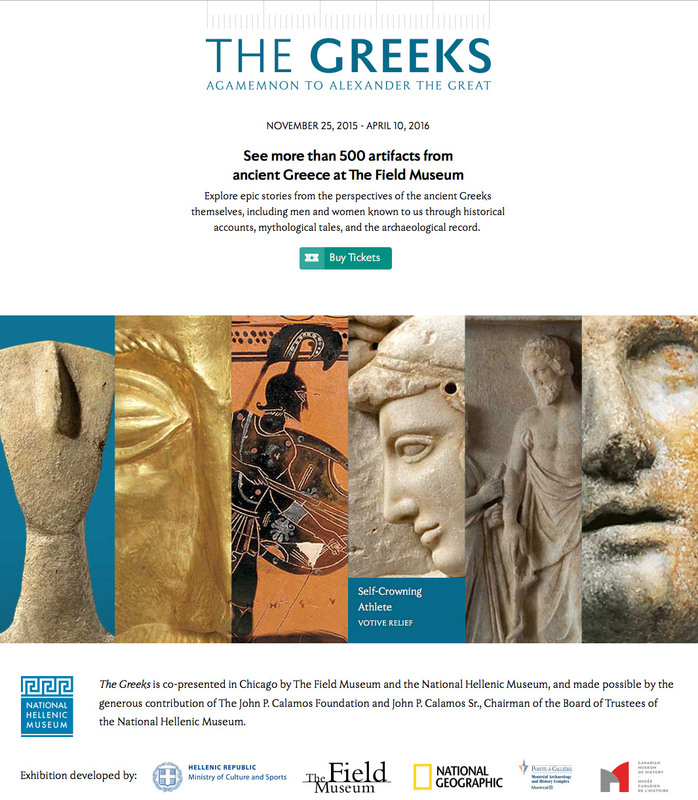 The Roman Capitalis provided the model for the classically proportioned capital letters and the harmonic shapes of the humanistic minuscule for the lower case characters. 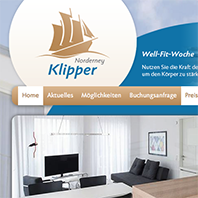 And so a font with pleasant rhythmic proportions was created and is extremely comfortable to read, especially in large amounts of text; but, it is also reader-friendly under adverse typographic conditions on the monitor. A terse character is the f, having a shortened ascender and managing without the usual sweeping bow in reading order. The determining element in the appearance of Faber Sans is seen in the wide round forms of b c d e o p q and C D G O Q , and this formal characteristic is even more emphasized with the use of the round a and g of the stylistic alternates. Contrast to the soft round forms is provided by the points of all characters derived from the triangle: v w z, and especially the capitals A M N V W Z . A ”second“ typeface with its own personal character resulted as stylistic alternates were designed for the letters a e f g l t u in accordance with the uncial scripts of the late antiquity or rather the early Middle Ages. And the r is given a playful point in the stylistic alternates. 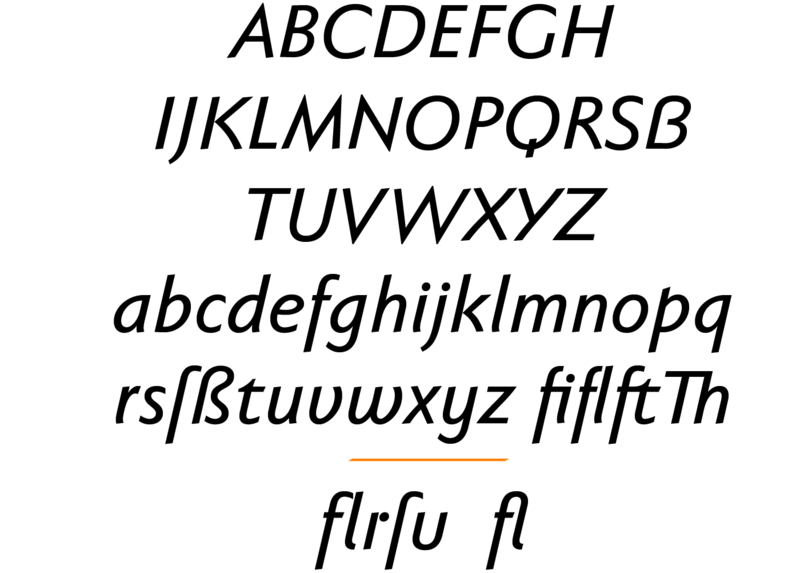 Modern OpenType technology makes it possible to combine the previously separate typefaces into one font. The stylistic alternate can be accessed via the OpenType-Functions »Discretionary Ligatures« or also »Stylistic Alternates« (and of course the glyph panel). 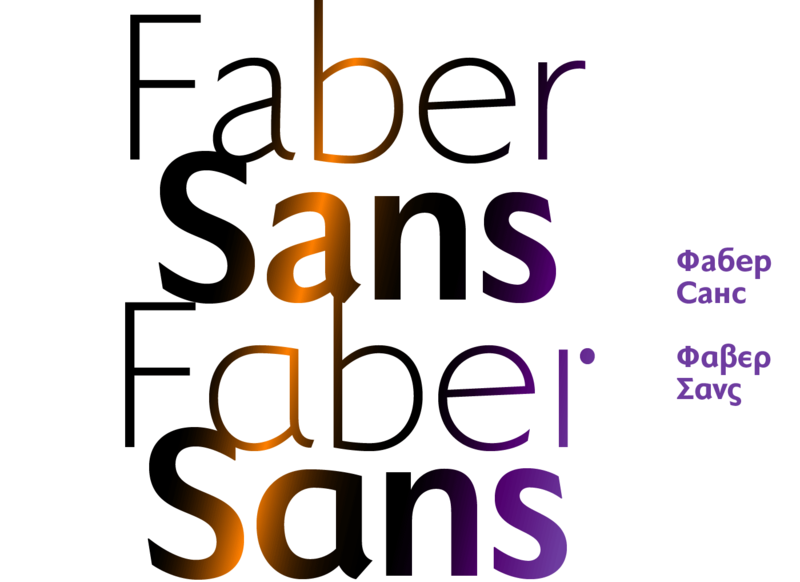 Unlike classic sans serifs, Faber Sans includes a ”true“ italic. The italic characters are not simply just slanted variations of the upright, but the characters originated out of handwriting styles; they are rounder and the stroke flow is more fluent than on the upright letters. Some italic letters truly have their very own design which clearly comes from handwriting, particularly noticeable on a and g.
Faber Sans has five italic and six upright versions in slight variations: light, normal, semi bold, bold, heavy and extra bold. 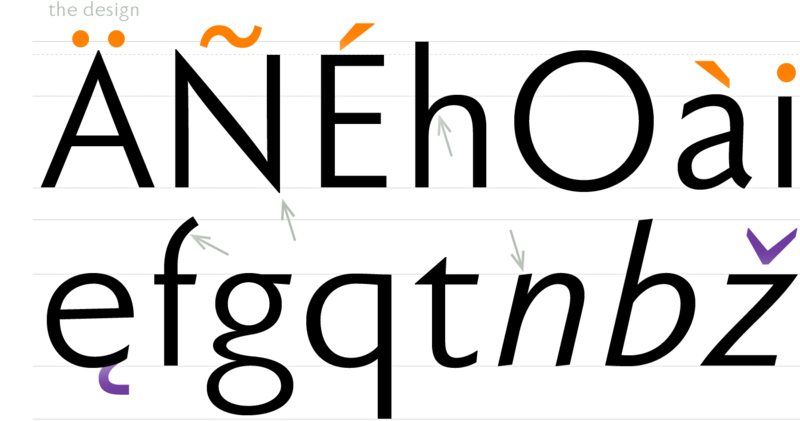 In addition, Faber Sans Pro includes some ligatures with stylistic alternates. 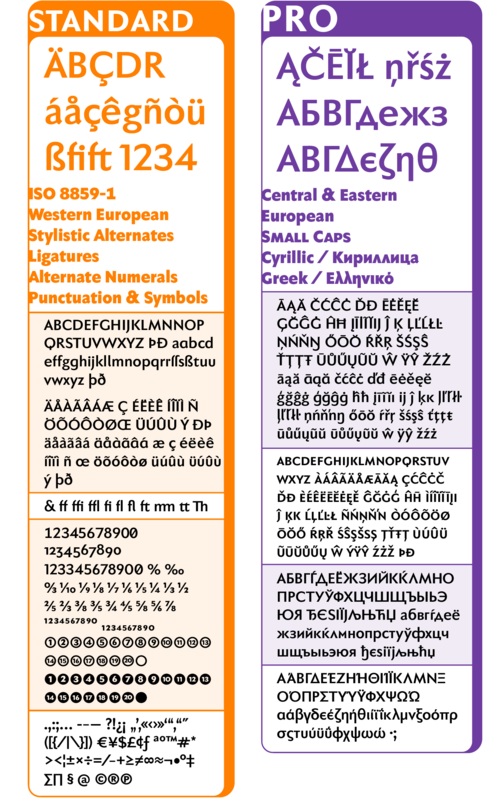 The layout of the characters includes the complete Unicode range for ISO 8859-1 (Latin-1) for all western, central, eastern and northern European languages as well as Greek and Cyrillic.